Why do you fight? I believe Mixed Martial Arts is the most challenging sport in world due to the physical and mental demands that are required to achieve success at the highest level. 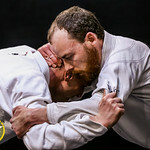 Mentally, the athlete must deal with the fight-or-flight response, remain calm and collected throughout, and not react with raw emotion otherwise he risks losing focus and technique suffers. Bolton’s Jason Figliano has no problem getting into the ring. 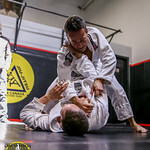 The dual black belt (Gracie Jiu Jitsu and Combat karate) actually pursues it for fun. “It’s for the experience, the thrill of it,” he said. “I just love to compete.” He has no illusions of a big-time MMA career, but he constantly wants to challenge himself, and the instructor and amateur champion needs more than he gets from small, grassroots gigs. This summer, he is pursuing his first professional MMA fight, with an offer to fight in Thailand already in his hip pocket. and receive your First 30 Days FREE! No strings attached and no contracts to sign! Copyright 2013. Boltonkarate.com. All Rights Reserved.